This page addresses financial questions about the Campaign. 1. Can you explain how the finances of the Diocese are structured and their current status? In summary, thanks to careful stewardship over many years, the Diocese’s finances are stable. Catholic schools, which are mostly funded by the state. The diocese also funds new developments and millions of pounds have gone into new style academies, e.g. St Matthew’s, St Paul’s and Christ the King. Many assets were sold to raise money for this purpose, representing Southwark’s firm commitment to Catholic education. The Bishops’ Fund, which contributes towards the costs of the Archbishop’s and Area Bishop’s accommodation costs. Safeguarding, which contributes towards the costs of the Diocesan Safeguarding Office. The Clergy Support Fund (formerly known as The Sick and Retired Priests Fund), which generates £420,000 each year and which the Diocesan Board of Trustees has decided not to increase. A number of second collections taken annually in parishes across the diocese, each for a specific purpose. Some of these receive stronger support than others, such as the Ecclesiastical Education Fund (for the training of priests). The Archbishop also has at his disposal a portfolio of investments yielding a sum of money each year (known as the Archbishop’s Special Purpose Fund). This gives him scope to take new initiatives. A grant is made annually from this fund to the Clergy Support Fund. However, the income from these investments has declined quite significantly in recent times. In practice, the parishes support the diocese financially rather than the reverse. Each parish is a separate entity under Canon Law, with its own land and buildings, and voluntarily lends the diocese funds which it does not immediately require. For example, some of the 178 parishes have capital sums which have been left to them by former parishioners in their wills and which are kept in reserve to provide for future needs or emergencies. Combining these funds into a single account enables the diocese to secure a better rate of return for the parishes and in the meantime it can deploy some of the funds in a limited way for the benefit of the whole Diocese. Holding such significant funds in trust for the parishes can also have the unintended effect of making the diocese appear to have more funds of its own than is actually the case. 2. What does a working priest receive by way of income? 3. What financial resources does a retired priest have to live on? The Diocese aims to ensure that from all sources combined, a retired priest has a total income of £12,750 per year and grants are paid quarterly to ensure each priest’s income reaches this level. This figure is reviewed periodically. Each parish pays National Insurance Contributions on behalf of its priests so a priest will normally be entitled to draw a basic state pension (£5,881 in 2014/15) and by custom receives a fee from parishes where he supplies when the resident parish priest is on study leave, on holiday or sick. Although many priests who have retired from active ministry make themselves available to supply in parishes, not all are fit or well enough to travel the sometimes long distances involved in supply duties. Priests who have worked in paid employment, such as Armed Forces or prison chaplains, may be in receipt of an occupational pension and will not need any financial support from the Diocese. 4. What is the annual shortfall in the Clergy Support Fund? In 2014 the shortfall between the funds available to the Diocese and those needed is estimated at £802,000 and is projected to rise to £982,000 per annum by 2018, by when the number of priests in retirement is expected to increase to 93. A failure to address this shortfall will mean the Diocese would find it increasingly difficult to maintain its current level of support. 5. What options were considered by the diocesan trustees? Even if collectively the Diocese had sufficient surplus properties (which it does not) most properties are assets of parishes and not under the direct control of the diocesan trustees. The Diocese has, on occasion, realised the value of capital assets in order to provide accommodation for its priests and to help realise other important diocesan projects, such as education, adult training and chaplaincy services. However, at present most assets are fully utilised and in the present climate a sale may not reflect good stewardship. Once an asset has been sold, it has gone forever, so decisions of this nature are always taken with due consideration of both the long and short term implications. Whilst this would have been a simple and straightforward solution it would have passed much of the financial burden directly to parishes and would risk causing hardship to those which are already struggling. Parishes often face a number of financial pressures and in view of this the Diocesan Board of Trustees decided that the shortfall should not be met through an increase in the annual parish levy which contributes to the Clergy Support Fund. A four year fundraising campaign is a time limited solution for a time limited problem. In 2018 the number of priests in retirement will reach a peak of about 93 so the Diocese needs help in meeting the shortfall over this period. A campaign also enables individuals to give voluntarily, according to their means, in a tax efficient manner, in the full knowledge of the facts and following careful thought, prayer and reflection. 6. How has the £4.5 million shortfall been calculated? The assumptions include a 40 year working life with adjustments made for those priests who are known to have pensions from earlier employments. In practice, the level of grant paid to each priest varies in accordance with his means and the diocese’s evolving approach to property purchases and sales reflects a variety of factors, including prevailing economic conditions and the balance between rental and purchase of properties. The assumptions include a gradual shift towards more rented accommodation, which requires lower maintenance costs than diocesan-owned properties and the re-use of previously purchased properties by priests who are recently retired from active ministry. 7. How accurate are the calculations? The calculations are projections rather than actuarial forecasts and necessarily include a degree of estimation which allows for longevity, needs of priests, numbers who retire early, numbers who choose to postpone their retirement until after the usual retirement age of 75 years and the numbers who may require nursing care. The provision for healthcare is also available to all priests, whether or not they have retired from active ministry. 8. £4.5 million seems a big sum. At first sight it seems so, but when it is divided up across the parishes over four years the sums needed appear much more achievable. Monthly giving over four years is a good way to make significant gifts become much more affordable. The Campaign Steering Group is also working to raise as much as possible from other individuals, organisations, companies and trusts to supplement what is raised in parishes. Members of the Pilot Campaign Steering Group and parish team members generously started the ball rolling by pledging personal donations. 9. How much of my contribution will be used up in expenses? The expenses of both the Pilot and Diocesan Campaigns are met by the Archbishop’s Special Purpose Fund, so every gift goes directly to support sick and retired priests without deduction of any kind. Gifts are paid in to a separate bank account which was established to support the management of Campaign funds and helps ensure appropriate transparency. The projected expenditure agreed by the Diocesan Finance Committee is estimated at between 5% and 7% of the target; a figure which compares favourably with charity sector averages, which are much higher. For example, CAFOD, Christian Aid and Oxfam’s overhead expenses typically amount to around 25% of expenditure and the British Red Cross and Cancer Research UK’s overhead costs amount to around 33% of expenditure. Whilst the planned costs of the Campaign are under the control of the Diocese, the final cost will depend on the time-scale within which parishes are able to recruit their lay leadership teams and complete the promotion of the Campaign in their parishes. The Diocese exercises great care over the costs of the Campaign, which are carefully controlled, whilst ensuring the Campaign runs effectively. Without an effective infrastructure, the many volunteers upon whose goodwill the Campaign completely depends, would be at serious risk of being overwhelmed with the volume of work involved. For many deanery and parish leaders, the support of the Campaign Office was an important factor in their decision to become involved in the Campaign because it gave them the confidence to know it is being run professionally and that they will be properly supported. The Campaign Office ensures that every penny of expenditure is justified. For example, second class postage is used wherever possible and volunteers are engaged to assist with office and other duties. All materials and literature, such as the Campaign Information Pack, are produced with the aim of striking an appropriate balance between cost, quality and accessibility; produced on recycled paper and at A5 size (cheaper for postage) and services such as design, printing and catering are put out to tender. Postage also cuts down on the cost to volunteers of travelling – and even then many kindly absorb such costs themselves. Webinars are used to reinforce and supplement training and reduce travel costs. With 180 parishes in the Diocese, the burden of verbal explanation for parish lay-representatives would be huge if they were not supplied with appropriate written information, as well as appropriate materials and training to equip them to deliver the Campaign locally. 10. Suppose too little or too much money is raised by the Campaign? Other dioceses have raised much larger sums of money and this, combined with the results of the Pilot Campaign, suggest that the target will be achievable. If too little is raised the Diocesan Trustees will consider carefully how the ongoing costs of support for the retired clergy of the diocese will be met. Any surplus to the target will be used to support sick and retired clergy in future years. 11. Would it be better to set up an endowment fund and meet the costs from its annual income? 1) The size of the fund required to yield the necessary income would be so large that it would take much longer to raise and there is a high risk that it may not be achievable in the timescale needed to meet the needs of the next four years. 2) The outlook on returns from endowed funds remains rather uncertain. The approach that was chosen is designed to offer a greater degree of viability and flexibility, in terms of what is realistic, whilst keeping options open for post 2018. 12. Why is the Campaign asking for a commitment of four years? The financial situation up until the end of 2018 is broadly predictable at this stage. This is the point at which we expect the number of retired priests to peak at 93. We can therefore estimate the gradual increase in costs and the Campaign is based on the total shortfall that will accrue over that time. As we draw nearer to 2018 we will be able to re-appraise the financial need for the next period and make an informed decision on the future at that point. 12. We already support a lot of different appeals and campaigns, why should we support this one? There will of course be other appeals from time to time in order to meet a variety of parish and other needs, and they will continue. 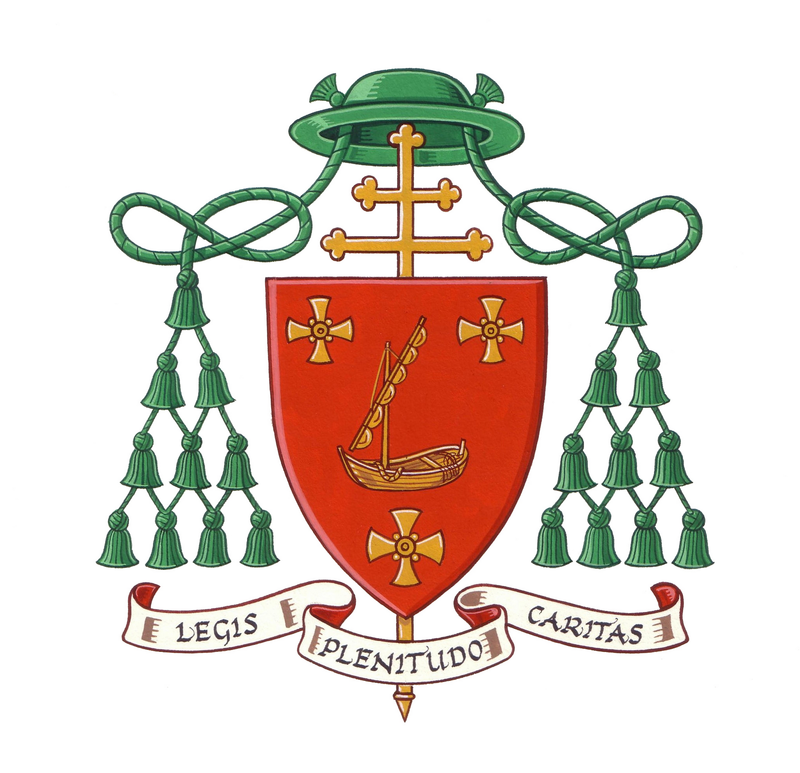 However, as the Clergy Support Fund is the diocesan priority identified by Archbishop Peter, a space needs to be created for the needs of sick and retired clergy to be put clearly before our Catholic community so that everyone in the Diocese is offered a thoughtful and prayerful opportunity to understand their needs and to decide whether they would like to give their support. 13. Aren’t we in danger of concentrating too much on financial needs? A priest’s financial needs in sickness and/or retirement are not his only needs. The Episcopal Vicar for Retired Priests is responsible for ensuring that the pastoral needs of retired priests are catered for. The Committee for the Ongoing Formation of Priests also has an active programme of support for priests which starts from the day of their ordination and continues throughout the rest of their life. Please contact the Campaign Office. Always helpful to keep updated, thank you.